MOSCOW, April 6. /TASS/. 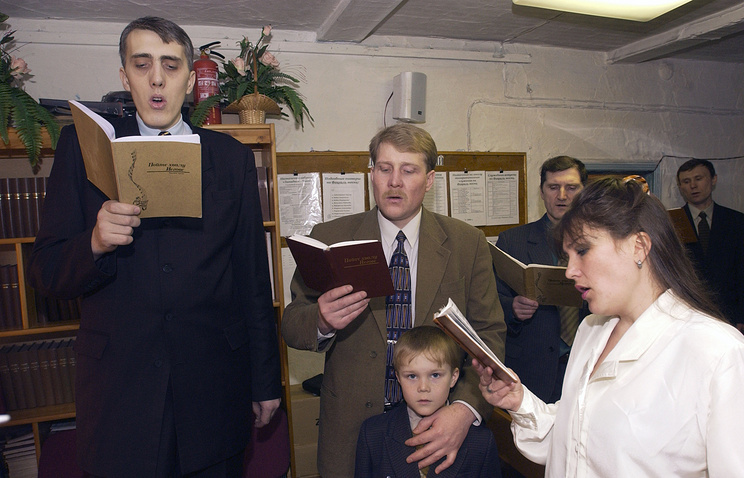 Jehovah’s Witnesses violate Russia’s anti-extremism legislation by promoting the idea of their exceptionalism and supremacy over other religions. If the organization is outlawed, its members could be prosecuted for extremism, a representative of the Russian Justice Ministry said at a session of Russia’s Supreme Court on Thursday. "We have evidence through the distribution of its literature that contains statements about the exceptionalism of Jehovah’s Witnesses, which poses a threat to public order," the ministry’s representative explained. The court asked the Justice Ministry’s representative a number of questions, and touched upon the prospects for criminal prosecution of Jehovah’s Witnesses members in the event the organization is banned. "We believe that suspending the Jehovah’s Witnesses activities does not violate civil rights. However, if such a decision is made, law enforcement agencies will be able to initiate criminal cases under Article 282.2 (Organizing the activities of an extremist organization) of the Russian Criminal Code," the ministry’s representative said. In its lawsuit, the Justice Ministry pointed to various violations by the organization’s activities revealed during a surprise inspection, including of the Law on Counteracting Extremist Activities. On October 12, 2016, Moscow’s Tverskoy district court issued a warning to the Jehovah’s Witnesses Administrative Center based on revelations of extremism there. Under Russian law, a religious association or organization is subject to termination if it does not remedy the specified manifestations of extremism before the required deadline or displays any new ones. The Jehovah’s Witnesses is an international religious organization that supports offbeat views on the essence of the Christian faith and provides special interpretations of many commonly accepted notions. In Russia, it had 21 local organizations but three of them were shut down for extremism.